The lumbar shape in females is thought to be unique, compensating for lumbar hyperlordosis. Yet, the morphological adaptation of various vertebral parameters in the thoracic and lumbar spine to this unique posture in young and adult females has only been partially addressed in the literature. Our aim was to investigate the gender association to vertebral shape in the thoracic and lumbar spine as a possible adaptation to lumbar hyperlordosis in young and adult females. A three-dimensional digitizer was used to measure the vertebral body sagittal wedging, relative spinous process thickness, and relative interfacet width at the T1–L5 level. Two hundred and forty complete, non-pathological skeletons of adults and 32 skeletons of young individuals were assessed. Three major results were found to be independent of age and ethnicity: (a) VB sagittal wedging in females was significantly less kyphotic than males from T9 to L2 (T11 excluded) with a cumulative mean difference of 8.8°; (b) females had a significantly relatively thinner lumbar spinous processes and (c) females had a relatively wider superior interfacet distance (T9–T10 and L1–L4) than males. 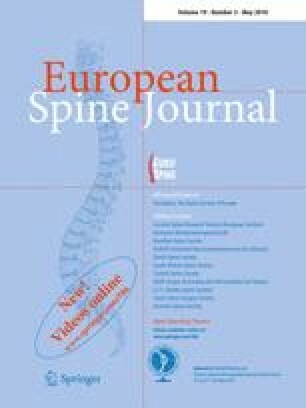 We conclude that the combination of less kyphotic VB wedging in the lower thoracic and upper lumbar vertebrae, relatively greater interspinous space and larger interfacet width in the lumbar spine in females are key architectural elements in the lumbar hyperlordosis in females and may compensate for the bipedal obstetric load during pregnancy. The authors wish to thank Phyllis Curchack Kornspan for her editorial and secretarial services.